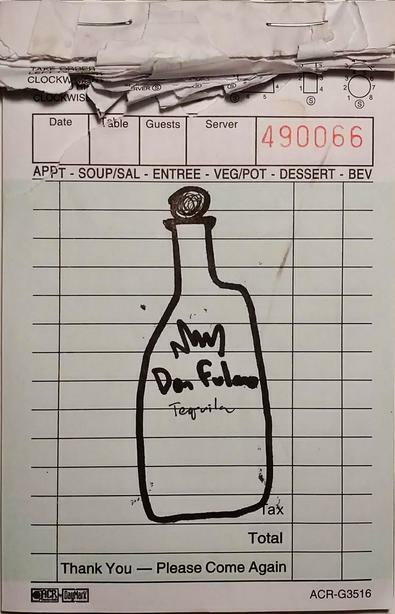 Tequila has been protected by law for a long time and has to follow a few rules. It can only be made in five states: Jalisco, Guanajuato, Michoacán, Nayarit and Tamaulipas. It also must be made with the Weber Blue Agave plant. Mezcal on the other mano can be made with any agave plant that is native to Mexico (there are a lot) but the majority are made with Espadin. At least that is the case at the time I am writing this. I suspect that as the world is drinking through the agaves more regulations will come into play. Agaves take decades to mature until they are ready to be harvested. The work of harvesting is hard, hot, spiney, manual labor. The harvesting for both Tequila and mezcal is almost identical. Cut all the leaves off an agave with a sharp stick blade called a coa, and you are left with a pina or pineapple. This is where things get different. For most tequila the pinas go through an industrial pressure cooker to convert the starches to sugar. Once cooked they are shredded to release the “mosto” or juices. Water is usually added while pressing. The mosto is transferred to fermentation tanks and yeast is added to help the sugars ferment. If sugar is added to the fermentation process it is a mixto and will not be able to be labeled as 100% agave. When the fermentation is done the liquid is distilled twice either through copper pot stills or column stills depending on the distillery. The tequila then is either diluted and bottled as a blanco or plata or sent to age in oak barrels. They will be diluted after resting in oak before bottling. The mezcal fermentation process is a little different. The agaves are buried in a pit and cooked to convert their sugars to starch. The process takes a few days. This adds a smoky characteristic to mezcal. After the agave are cooked they need to be crushed. This process is done by a device called a tahona. Basically a horse (or tractor) pulls a giant round stone around a basin full of cooked agave to crush them. The mash is moved to a fermentation vessel and left to ferment. Then the mash is moved to a still either made from copper, clay, or wood and the alcohol is separated from the mash. El Pelotón de la Muerte is my go to for cocktails at the house. I honestly don’t make a lot of mezcal cocktails. I enjoy sipping mezcal from time to time and I usually reach for the Madre Cuishe from Rey Campero or anything made from the Karwinski plant. For a Tequila I would recommend anything Enrique Fonseca had a hand in making. Go with Cimarron Blanco or Don Fulano to raise the bar (and proof). Just make sure the Tequila bottles say 100% Weber Blue Agave unless you like wasting money. Mezcal is a weak category for me. I am trying to absorb quickly but it does not speak to me. I will update the more I learn!